Mrs. Greenhaw also works with the AR bulletin board that records the progress of all students in grades 2-5. This year we used a race car theme. 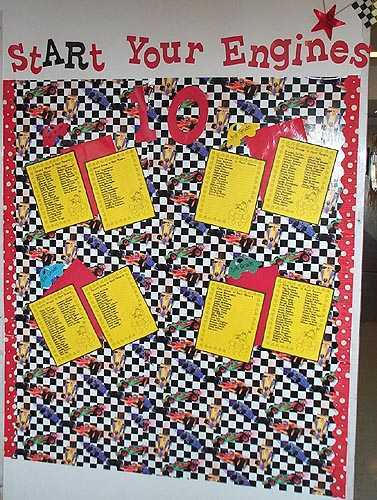 When a child reaches 10 points, his/her name is added to this beginning board. Press "Go" to search for Classic Readers for Children.